EBTechnology is dedicated to maximizing corporate ROI on digital investments. Millions are spent on platforms. We help prepare your business structure and professionals to develop content strategy, deploy emerging best practices, acquire necessary skills and restructure processes for the rapidly changing terrain of digital marketing. Our EBT consulting firm was founded in 2008. We have evolved, year by year, to lead cost-efficient technological change and cultivate effective customer-centric content marketing. 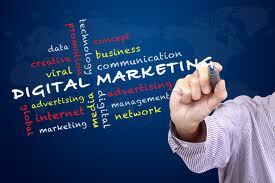 • Digital marketing strategies for fully deploying diverse platforms and channels. • Change management through customized and engaged training. Customized SharePoint corporate website publishing for a network of 50 websites maintained by 150 marketing professionals deployed around the world. State-of-the-art marketing metrics, reports and dashboards — using an integrated mix of Eloqua, Sprinklr and Google Analytics. Effective B2B sales processes of mass email marketing, using marketing segmentation, targeted professional writing, and professional metric evaluation. We are small, highly skilled, nimble and shockingly cost-efficient.